Every year it's like falling off a cliff. The run-up to E3 is a million stories per day—game announcements, game leaks, game trailers. Then E3 is obviously a billion stories per day as we try to sort through all the madness. And then the week after E3? Tumbleweeds. Two weeks after E3 looks about the same. But three weeks after E3 is where people actually start working again, so I'm back with a very light dusting of news. Dead Island 2 is still apparently in development, Shenmue gets a PC release date, Kingdom Come: Deliverance delivers DLC, Bethesda talks smack about Sony, and more. This is gaming news for July 2 through 6. First up, as always: Free games. Rocket League was one of 2015's best, and you know what? It's still one of 2018's best, too. It's also free this weekend, via Steam. If you've somehow missed out on soccer-with-cars for the last three years? Now's your chance to give it a shot, through July 9. I mean, the World Cup is taking place and everything. Just excellent timing here. Ah, I see Dead Island 2 is taking the Crackdown 3 approach to development. Announced back in 2014, I even played it at a PAX or an E3 a few years ago—and then it disappeared into the ether. Apparently not for good, though. The Dead Island Twitter account has spent the week promising the long-awaited sequel is "still on the way." Of course, by the time it arrives original Dead Island developer Techland might have released two spiritual successors in the form of Dying Light and its own highly anticipated sequel. Oh, if only I had 50-plus hours to replay Kingdom Come: Deliverance. It's already one of 2018's best games (at least so far), and this week the first expansion hit, "From the Ashes." It allows you to reconstruct a village over the remnants of an old bandit camp. Add a stable, a town hall, a woodcutter, et cetera. Developer Warhorse Studios calls it a "Finance Management System," as you try to bring the village to profitability. 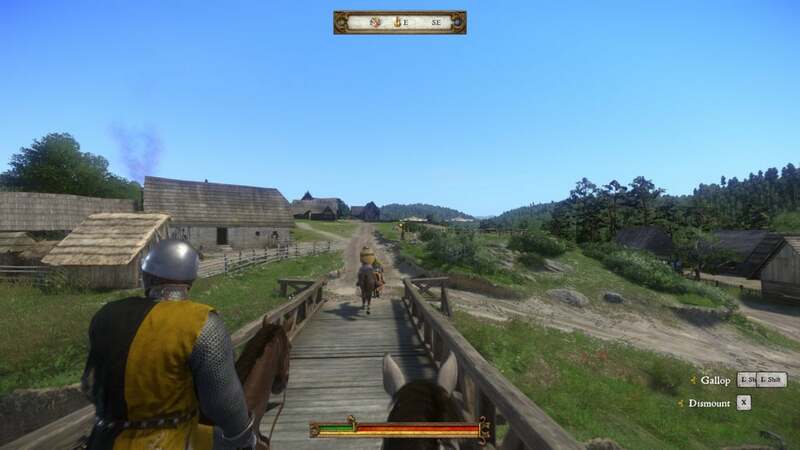 It's a very Kingdom Come: Deliverance sort of expansion, and I mean that in a good way. The trailer description here really says everything you need to know: Shenmue I and II will make their PC debuts on August 21. New controls, better resolution, updated interface, both Japanese and English voiceovers—if you're going to play Shenmue, this is the way to do it. Developers continue lobbing rocks at Sony over its "no crossplay" stance. First it was Epic, who enabled crossplay between Xbox and PlayStation last year—allegedly an accident, but proof it could be done. Last but not least this week (I told you it was a light dusting of news), the Vive Pro finally has proper bundles with base stations and controllers. Sold for the last two months as an upgrade for original Vive owners, you can now start from scratch with a Vive Pro, the 2.0 Base Stations, and new blue controllers. It's gonna cost you, though. Like, a lot. An eye-watering $1,399 for the full bundle, compared to $499 for the standard Vive at the moment. That's more than even my back-of-the-napkin estimates, and seriously not a price I expect normal consumers to pay—nor HTC either, I guess, as evidenced by the bundle's placement on the "Vive Enterprise" site. The price is a bit more consumer-friendly if you go with the 1.0 base stations, which are lower-range. That bundle, which HTC calls the Vive Pro Starter Kit, is "only" $1,098. But uh...well, you're probably better off with an Oculus Rift or a standard Vive. That's really the only takeaway here. A shame, because the Vive Pro's upgraded resolution is a huge step forward. Maybe one day this hobby will be affordable.